Above: Her husband, Apostolos, in the Greek army. He is standing in the middle, wearing a sailor's hat. Above Right: With her son, Nikos. Above: Her son, Nikos, as a football player. Above Right: A portrait of her son, Marinos. Above: With her daughter, Sophia, and son-in-law, Nikos Pandazes. Above: Migrating to Australia, on the Patris. 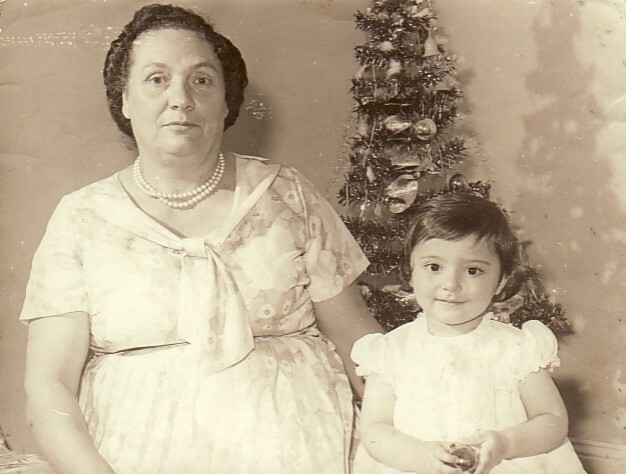 Above: With her grand-daughter, Maria Pandazes.